Raise a Parade Pint to the Rooftop. 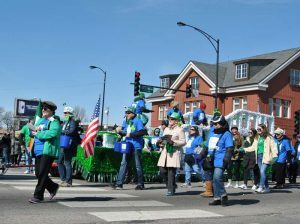 Go above the crowd for eats, beats, brews and an exclusive birds-eye view of the South Side Irish St. Patrick’s Day Parade. 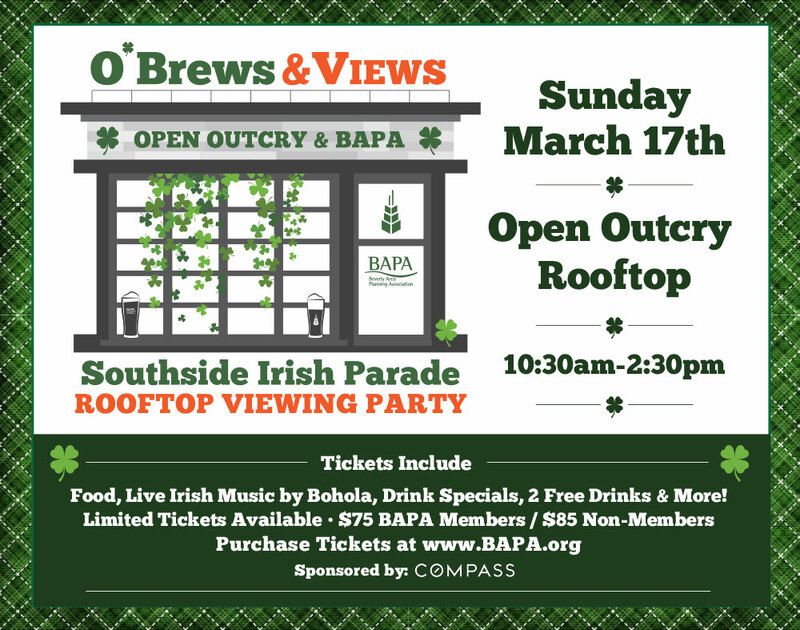 Join us for BAPA’s private party on the Open Outcry Rooftop, Sunday, March 17th from 10:30 AM – 2:30 PM. Tickets include rooftop viewing of the South Side Irish Parade, food, live Irish music by Bohola, drink specials and 2 free drinks. Grand Marshal Les Turner ALS Foundation leads the South Side Irish Parade. The leprechauns are coming rain or shine. All sales final. Tickets: $75/BAPA members or $85/non-members.